Honza has brought me reasons to be proud of my Rutgers University PhD. ;-) Just days ago, Bill Zajc and I discussed the influence of philosophy departments over the interpretation of quantum mechanics. I mentioned an important character – Sheldon Goldstein – who is a philosopher of science at Rutgers. Well, he's formally a distinguished professor of mathematics even though his papers have been about the philosophy of physics, statistical physics, and perhaps some related topics. Clock in a Droste effect. The exponential spiral is mixed with the cyclic time. This conflation is mathematically deep because the periodic functions may be generated from \(\exp(ix)\), a conceptually small variation of \(\exp(x)\). While he is smart and appreciates some kind of logic very well, it's not quite enough to understand everything important that modern physics has found. So Goldstein, a leader of the Bohmian mechanics people, ends up being an ideologue who is successful because he is really serving his essays in "more welcoming" environment without actual big shot physicists who understand why his views on (and prejudices about) quantum mechanics are just wrong. I think it's wrong (not a promising way to organize scientific research) for the system to allow folks like Goldstein to build whole schools of disciples in "relaxed" environments where Goldstein isn't really facing competent, critical peers because they're focused on other disciplines. But now we're going discuss a very different level of scholarship. Goldstein is wrong but it's still a "somewhat social science department approach to" physics. We will look at another lower category. There are natural sciences, social sciences, and humanities. I think it's right to say that "humanities" are less rational and scientifically meaningful than "social sciences" – by a similar amount by which "social sciences" are less scientific than real, "natural sciences". Maybe we should distinguish new levels on this ladder: natural sciences, social sciences, humanities, and grievance studies. Maybe it makes sense to distinguish the "grievance studies" from generic "humanities" because there's a whole new level of scholarly fallacy that dominates in the grievance studies. OK, as discussed on NPR, in the College Fix, The Blaze, and Breitbart, to pick a few, a Rutgers professor has pointed out that the very concept of time is racist. We're talking about Prof Brittney Cooper who is affiliated not with one but two departments of Rutgers University – African Studies and Gender Studies. So she is an intersectional grievance scholar. Previously, she has annoyed some Christians when she said that Jesus could have been "queer"; and He was married to a prostitute. First of all, these two statements seem to be in some tension with each other, an issue that Prof Cooper probably hasn't discussed. About 1/3 of TRF readers are Christians (our community really is one of the most diverse ones in the world when it comes to nationalities, races, religions, political preferences, and other things, we just don't feel the urge to brag about it all the time), I think, so if you can't withstand such discussions, please stop reading. So I think we can only guess the probability that Jesus wasn't straight. For a generic man, it's some 4%. If we know it's a man who avoids explicit and undestandable wedlock, which holds for Jesus or me, among others, the probability is probably higher, maybe 10%. If He spoke like a hippie... OK, I don't want to continue. The probability that Jesus was gay might be close to 30%. At any rate, in Jesus Christ Superstar, Mary Magdalene displays both some unusually professional abilities to nurture men as well as some intimate proximity to Son of God. It's not a historical document but these ideas weren't just made up. They are built on some historical sources and rumors that have survived. It's very plausible Mary Magdalene was a prostitute who slept with Jesus. Now, some sources describe her as a "repentant prostitute". Those of us who think that "repentance" is usually an irrational theater may prefer to say that she was simply a "whitewashed prostitute". When He miraculously touched her, He turned all the dirt of her original craft to gold and a virtue. Handy. ;-) Fine, you can see that my views could be remotely compatible with Prof Cooper but you probably don't doubt that as a leftist, she is really driven by an agenda to hurt Christianity, Christians, and their image, while I am not driven by any desired outcome here. Her newest statement on NPR was that the concept of time is racist. Why does she say so? It's all about the grievance, stupid. So first of all, the European wise men who started to write philosophical essays about Africa have implicitly removed Africa from the spacetime, she says in a less sophisticated language, and they did so because they saw Africa as timeless – which really meant a continent without a history. Now, like in other humanities, this is a mixture of some valid or semi-valid observations with lots of emotions and especially numerous irrational connections between the true seeds of facts and the emotions. First, it's true that Africa looked timeless or lacking history. It wasn't anyone's fault. Africa simply didn't have too much of a history that would be visible from far away and it was therefore unavoidable that up to some time, Europeans knew almost nothing about the African history. These days, historians already know something about the African history – even one thousand or two thousand years ago – but the amount of knowledge is obviously smaller than in the case of Europe. It's not just because Africa is far and hard to study. And didn't have much writing before the whites came. Even if we could study it perfectly, we will almost certainly find that there were fewer structured events in Africa simply because Africa isn't and hasn't been equally civilized as Europe. One may describe these points in various ways and people's views on these statements may differ a bit. But they're still intrinsically objective facts about the history of Europe, Africa etc. which had other reasons that no one could have changed. As objective facts that no one can change today – and in practice, no one could change them even in the past, before they took place – they can't be blamed on somebody, especially not on an arbitrary subset of current humans defined by their skin color. Second, she actually says that the blacks don't accept the concept of time because (especially African Americans) think about the past, present, and future as if they existed simultaneously. That's a bold statement. Using some terminology we used before (and she may be ignorant of this terminology even though "humanities" folks should be good at least with words), blacks are eternalists and whites are presentists. She says that whites distinguish the past, present, and future, and only the "present" really exists, while blacks prefer the equal existence of the whole spacetime. I don't want to discuss this whole issue again. But at some level, it's just a way of thinking and talking about the reality which doesn't change predictions – which is why it may be considered unphysical. At a finer level, important relationships actually exist between eternalism or presentism and important theories in physics. Relativity bans the "absolute present" – it depends on the inertial system ("observer" in the relativity sense) – so it bans the normal "presentism". The greater existence of the "present" cannot be objectively real because the "present" at least depends on the inertial observer. So relativity prefers the "African American" eternalism. On the other hand, quantum mechanics guarantees conclusions such as the free-will theorem which implies that the future outcomes cannot be imagined to be already real "now" because the future decisions of people and particles is a result of the free will that may be affected by all the previous events including our current decisions based on free will. So quantum mechanics – and to some extent even statistical physics, already in the classical context – really guarantees that the future may only exist "after" (or, logically, "given the existence of") the present or the past. So in quantum mechanics, the past always exists "more" than the future. It's compatible with these statements about relativity and quantum mechanics to say that e.g. your (solid) past light cone of the spacetime exists – and nothing outside the past light cone exists. But more importantly in this text, what is ludicrous is her idea that the eternalist and presentist frameworks may be identified with the races. Some memes or proverbs about the future may selectively spread in a language or among people who talk to each other, like African Americans, but there is no intrinsic reason why the conclusions of the races should be different – and there is no reason why any particular differences should be lasting. In particular, "time" is such an essential concept that every nation, race, civilization, or company that wants to be civilized or operational at least at some level simply must embrace "time" and many finer aspects of "time" – like duration, periodicity and cyclicity, frequency, parametrization of events as a function of time, calendars, clocks and watches, careful definitions of the units of time, understanding of the basic astronomical cycles, days, lunar cycles, years, as well as the purely man-made ones such as weeks and months, and more. You know, I think that the percentage of people who understand why most of these things are important for the life is much higher than 50%. That's why I think that a person who literally misunderstands why most of these concepts are just needed for basically all people, including black people, is unlikely to be smarter than the average person (IQ of 100). You might bring some sociological arguments why a person who is a professor at two departments of the State University of New Jersey must have a much higher IQ. But I just think that sociological arguments are ludicrously weak relatively to the solid factual arguments that I see. Not to see the objective importance of time, duration, units of times etc. for people including the black people means to be less intelligent than the average person on Earth and departments that hire such people as faculty have abandoned meritocracy. I am sure that many of you who feel that you're "thinkers" must have quite some history of learning things about time. 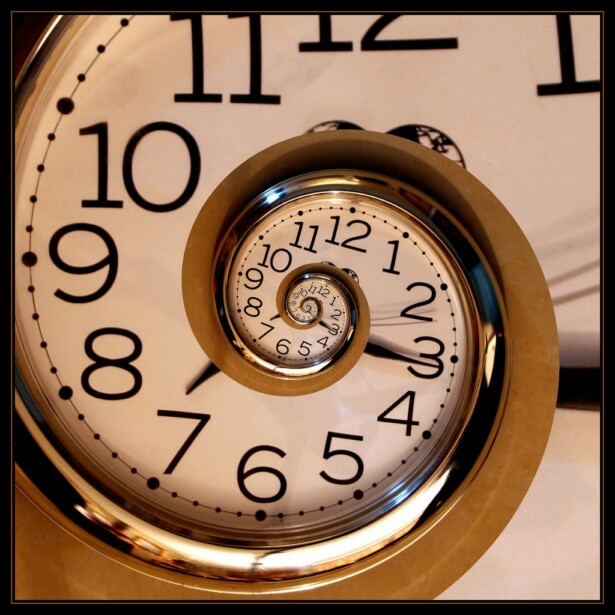 Mathematical methods to deal with "time" obviously cover a huge fraction of thinking – about practical things, science, technology, and more. It's no coincidence that Hawking titled his first bestseller "A Brief History of Time". Time as a concept encapsulates lots of things we need to live, the relationship between the past, present, and future, much of philosophy, science, and more. And its status is changing during the revolutions in physics. One of the first books that sort of excited me – when I was 5 or so – was a book about calendars of the world. It was a light mathematics reading – which was somewhat sufficient for me at that time because I couldn't find more refined books at that moment – but it was focusing on the world cultures, too. OK, during the first years of the elementary school, one learns some basic things about the clock and calendars and units of time in physics and other things. Then you have relativity, time is dilated and simultaneity is relative and lots of other things. In advanced classical or, more often quantum, mechanics, one first learns that the translations in time are generated by the Hamiltonian – i.e. by energy that is dual to time in some Fourier sense. In general relativity, one studies complicated causal diagrams and problems with closed time-like curves and other things. Well, that's surely not how science works. In science, it is unknown to start with whether a combination of words is a meaningful question. Even when it is established as a meaningful question, it may be a more important and deep one or a less important and shallow one. Or a misleading one. Even if the question is really good, it's not clear whether an answer is known and what it is, how long the answer should be, whether it should use equations, whether it applies generally and accurately or needs to be refined and generalized for new situations, and so on. The knowledge about the world is more complex and structured than the "A? B!" Ansatz that some people naively believe and consider intelligent. The main initial difference of the scientists from the "wisdom lovers" is the actual curiosity. Science people ask questions because they obviously start to bother them. They see something and they want to know whether it's really true and why or why not. "Wisdom lovers" seem to ask questions because they're building their wisdom score and they think that piling the question-and-answer pairs, a ritual, is a way to do it. The difference of motivations also makes the methodologies different – what it means to be satisfied with an answer etc. The motivations and methodologies are ultimately very different. But Cooper isn't even a "wisdom lover". She's a "critic of wisdom". Quite generally, by inventing scientifically ludicrous grievance conspiracy theories, people like Cooper are obviously doing a great disservice to everybody who takes them seriously. What has made the European men's civilization successful was their hard and clever work with lots of inventions and discoveries that needed to be made and needed to spread – prominently including the concept of time and its variations – and everyone who wants to be successful in any comparable sense must obviously master lots of such things. And indeed, most of the basic aspects of time are really necessary for any kind of a success. For a success of African Americans, they obviously need to master "time" and other "inventions of the whites" (I am saying it as a mixed joke – time itself in the most general form isn't really an invention of whites but lots of the detailed concepts or methods to deal with time might be inventions of whites!). The more blacks will understand e.g. relativity, the less White or Jewish relativity will look to them! They need to learn more, think more, work more, and they may get ahead in many other fields than e.g. rap. To see crucial parts of the world as players in grievance conspiracy theories is a guaranteed recipe for a failure.